There were only 40 of these babies made, IRON CHEF Imports in Adelaide has just got their hands on one. As rare as these are, it has a price as rare along side with it! Some of these babies use to go for $40,000.00 back in 2010, let’s see how much these guys are going to be asking. -The vehicle is not TURBO! Some people may notice, this car dose have a resemblance to the new BMW Z4 (non-convertible), which is a coupe and it’s rear end from the side honestly does look the same. Don’t be fooled though, the Z4 is quite common (depending on what part of the world you’re in). But this baby is rare as F*#@! 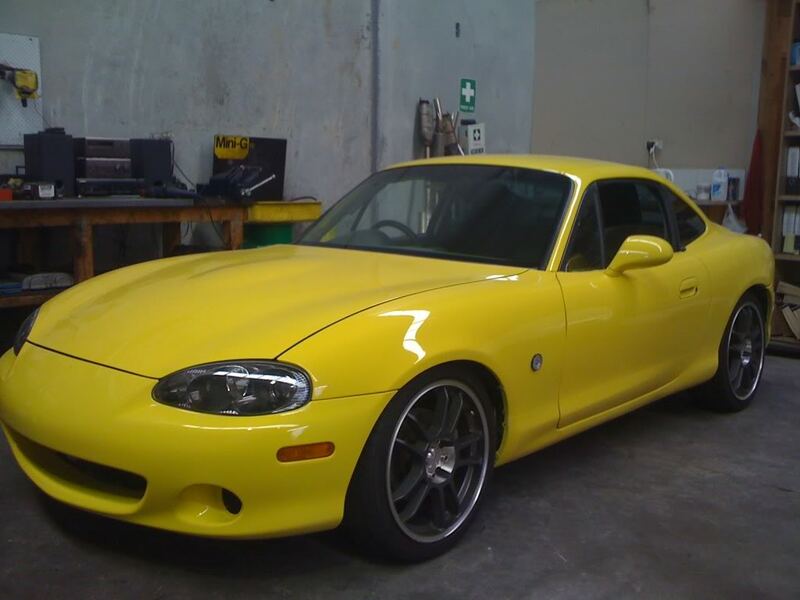 In our opinion in this image, (found on MX-5 CAR TALK) with the black housing SE lights makes it look much better.